Basic Life Support (BLS) This is a CPR Class for Healthcare Providers such as nurses, doctors, dentists, dental hygienists, radiologists, paramedics, therapists, and all other healthcare and medically related professions. This course is also known as BCLS or Basic Cardiac Life Support, and it is the required course for healthcare providers. 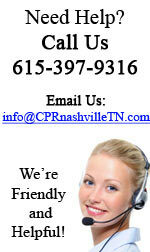 This course is for first time CPR students, as well as a CPR renewal certification class. **This Healthcare Provider CPR Class Satisfies All Requirements for Healthcare Workers and Students in Healthcare and Medically Related Programs. This course is American Heart Association certified and includes infant, child and adult CPR and AED training. 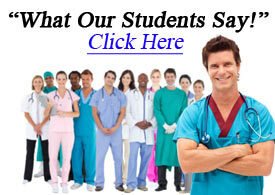 At the end of the class you will receive a 2 Year AHA BLS Provider Card. 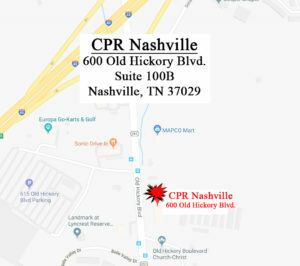 Register Now for the Best CPR Training Nashville has to offer! Advanced Cardiac Life Support (ACLS) ACLS is an advanced American Heart Association course for specialized health care providers such as surgeons, emergency medical physicians and nurses, paramedics, respiratory therapists, and other medical professionals in life threatening and critical environments. Managing airways, initiating IV’s, reading ECG’s, and understanding emergency pharmacology is required. Pediatric Advanced Life Support (PALS) PALS is an advanced life support course revolving around a pediatric crisis. Specialized nurses, physicians, paramedics, and all other healthcare providers who must develop and enhance their pediatric assessment skills need to be PALS certified. You will learn and practice identifying the onset of shock, as well as respiratory and cardiovascular emergencies in children and infants.